Summer has arrived! With all of the fun that the season has to offer comes picnics, parties - and inevitably -tons of sweet treats! If your family is anything like ours and enjoys all of the sweet treats synonymous with Summer, you'll definitely want to check out these great Summer Cavity Prevention Tips! Two minutes, two times a day - Children should brush their teeth for two minutes, twice a day and floss after each brush. To encourage brushing for two minutes, find flavored toothpaste children enjoy or allow them to pick out their own toothbrush at the store. Supervised brushing: For your young children, parents should try monitoring their kids as they attempt brushing so they can get used to it before taking over for them, making sure their teeth are thoroughly brushed/clean. Use fluoride to combat tooth decay in two ways. Fluoride incorporates into the structure of developing teeth when it is ingested and it protects teeth when it comes in contact with the surface of the teeth. Fluoride is safe but should be used sparingly, if at all, on children under 6. Many water sources include fluoride, but also toothpaste and some supplements contain fluoride and are safe to use with children 6 and over. Limit sugary sweets and soda/juices and opt for nutritious food and beverage choices this summer. Some healthy summer “sweet” options include homemade granola bars, hummus and “ants” on a log. Healthy eating can help fight tooth decay and can also stimulate your gums and boost the production of saliva. Preventive tooth sealants can be given to children as soon as their adult teeth grow in. Sealing their adult teeth can help prevent future cavities and tooth decay. Bring your children along to your dentist appointments. From an early age, it’s helpful to get your children used to visiting dentist offices so that they get into the habit of going and learn the importance of twice annual visits. Also, be sure to discuss any of your children’s health concerns with the dentist (even if it’s not oral-related) since there is sometimes a connection you might not be aware of. 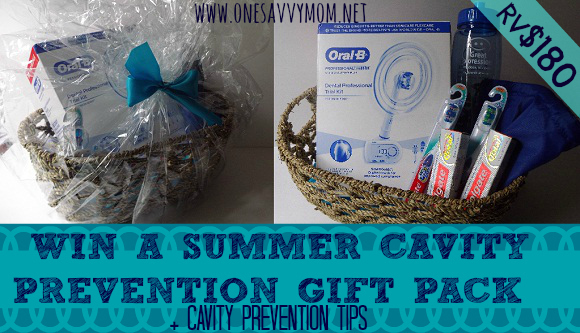 Great Expressions Dental Centers is helping (1) One Savvy Mom Reader with their Summer cavity prevention efforts with a gift basket full of dental care essentials! Disclosure: Prizing provided by Great Expressions Dental Centers. 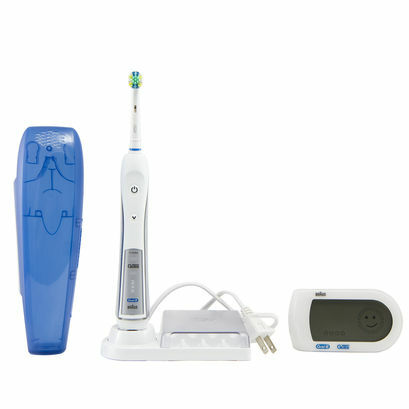 Oral-B Dental Professional Trial Kit- [RV $159.99] Oral-B’s most technologically advanced toothbrush, ProfessionalCare SmartSeries 5000 with SmartGuide provides Oral-B's most advanced cleaning technology for ultimate plaque removal and also features a wireless SmartGuide. 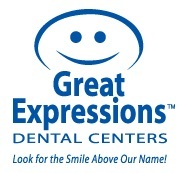 For more than 35 years, Great Expressions Dental Centers (GEDC) has been exceeding patients’ expectations with more than 200 dental centers in Connecticut, Florida, Georgia, Massachusetts, Michigan, New Jersey, New York, Ohio, and Virginia. GEDC is one of the largest privately owned dental service organizations in the United States, but don’t let our size mislead you. GEDC and its employees continue to maintain the dedication and core values found in small, hometown dental practices, but with the stability and convenience of an established national organization. GEDC’s mission is to provide affordable dental care without sacrificing quality and convenience. GEDC accepts most major insurances and is focused on partnering with insurers to increase access for patients. I encourage proper brushing with fun toothpastes and toothbrushes, got to make it fun. I got my daughter a toothbrush with a timer on it and she uses an after brush rinse. I brush my teeth with my kids everyday! Brush thier teeth again, after they brushed. I have her brush 2 sometimes 3 times a day and we usually time it so that she is brushing long enough... I also get flavored toothpaste that she likes that isn't too strong... (adult flavors but not overwhelming) and she flosses a few times a week too. everyone brushes and flosses twice a day! I brush their day and. Teach them how to do it too! By making sure they brush and floss twice a day! I let my daughter brush her teeth herself, but than I rebrush them!